Rejin Leys is a mixed-media artist and paper maker whose current practice is built upon responsive intuitive mark-making. 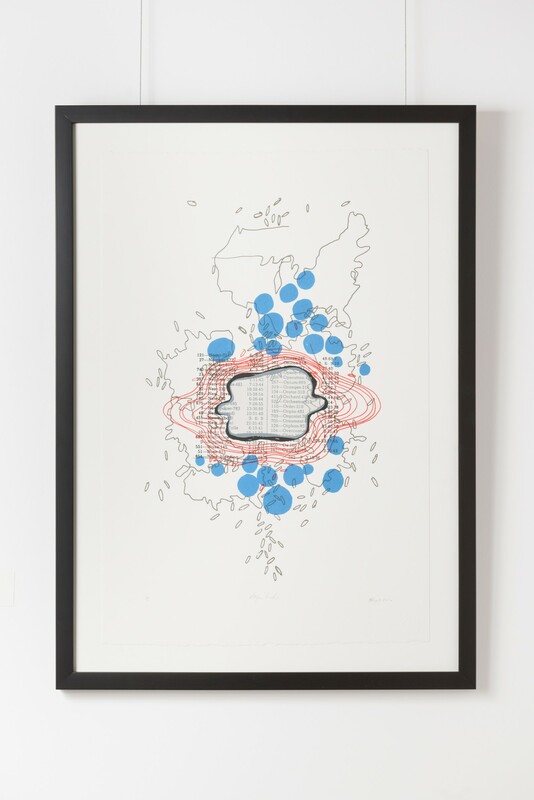 Employing a lexicon of shapes developed over three decades, her drawings and silkscreens evolve from a mélange of ideas, interests, and imagery related to socio-political and environmental issues. 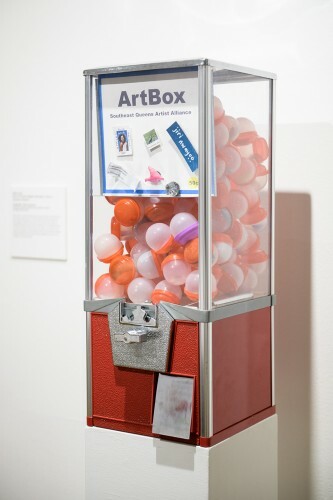 Leys designed ArtBoxNY as a way to turn people who might not traditionally seek out art into joyful collectors. Inserting 50¢ into the coin slot allows viewers the chance to win an original 1-inch piece of art made by a member of the Southeast Queens Artist Alliance and refilled by York College Fine Arts students. The works on view in Notations in Passing place Haiti’s refugee crisis of the 1990’s in conversation with the country’s current post-earthquake displacement and the global economy. The events are tied together through an iconography of repeated biomorphic forms. 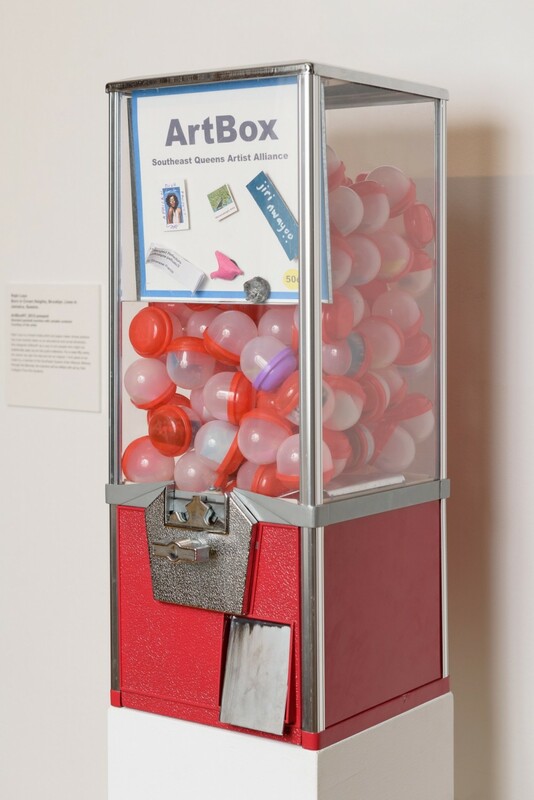 Commenting on the economic imperialism connecting the Atlantic slave trade, political unrest in Haiti, and the denial of Haitian asylum seekers to the United States under president Clinton, the imagery in Magnitude reference Leys’ abstract explorations under the theme of migration. Her later works focus on Haiti’s food crisis and link it to the global economy by layering gestural renderings of the United States with flecks and swarms of rice.